Discover a magical world of souks, mosques, medieval streets and mysterious Pyramids in lots of different forms. Although the pyramids and the Sphinx are best known, there are other sites that are more ancient and just as grandiose. Among them are the funerary monuments of the Old Kingdom at the great necropolis of Saqqara and the wonderful desert sites of Dahshur, Memphis and Meidum. Don’t forget to pay a visit to the Egyptian Museum. 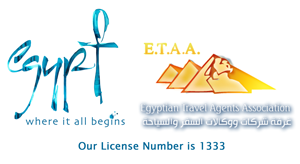 Click the links below to find out about your chosen Cairo Day Tours. Who doesn’t want to see the pyramids? Get an in-depth view of ancient Egyptian history by visiting the Giza necropolis. The pyramids of Giza are the last surviving wonder of the Seven Ancient Wonders of the World. Close to the great pyramid of Khufu are the remains of his mortuary temple, three ruined Queen’s pyramids and dozens of tombs. There is also the Solar Boat Museum, housing Khufu’s 142-foot funerary bark, the oldest wooden boat in the world. A short walk takes you to a scenic outlook point with a great view of the plateau and the pyramids. A processional way runs from the pyramid of Khephren to a well-preserved valley temple made of granite. Next to this is the famous gigantic statue of the Great Sphinx. 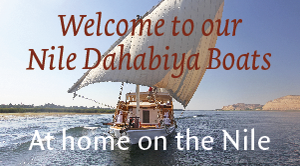 See the breathtaking Great Pyramids, and discover the many monuments of the Giza necropolis including the Great Sphinx and the fascinating Solar Boat Museum. No wonder that millions of people continue to visit the pyramids each year, drawn by their towering grandeur and the enduring allure of Egypt’s glorious past. Then it’s on to the necropolis of Saqqara, with some extraordinary funerary Old kingdom monuments, including the famous Step Pyramid of Djoser, rock tombs and ornate mastabas. Learn more about Saqqara by visiting the Imhotep Museum at Saqqara, where new and old discoveries are displayed. The Saqqara necropolis is one of the largest archaeological sites in Egypt. Stretching over six kilometres in length, it has many tombs, known as mastabas, where the colours on the wonderful carvings are still fresh and bright, despite being over 4500 years old. This is where the oldest of all the pyramids is situated, the Step Pyramid of King Djoser, undoubtedly the jewel of Saqqara. Learn more about Saqqara by visiting the new Imhotep Museum at Saqqara, where new and old discoveries are displayed. Although very few of the earliest monuments of ancient Memphis have survived, the modern open-air Museum of Memphis houses an impressive 13-metre limestone statue of Ramesses II. Other monuments at the site include the Alabaster Sphinx and some remains of the temple of Ptah. These sites are much less well known than the pyramids of Giza and Saqqara, and are thus a lot less ‘touristy’. The Dahshur necropolis, extending alongside the fertile Nile valley, has five pyramids, among them the Bent and Red Pyramids of King Snefru and several Middle Kingdom pyramids. Sneferu’s Meidum pyramid was the first attempt to build a true pyramid. Around the pyramid are several mud-brick mastabas and a ruined mortuary temple. This seldom-visited archaeological site is beautifully located in a remote area on the edge of the desert, looking out over endless sands and lush green fields. Absorb Egypt’s religious diversity by visiting the historic Coptic churches of Old Cairo, clustered around the Roman fortress of Babylon. The monuments include the Hanging Church and the eleventh-century Church of St Barbara, as well as the Coptic Museum, with its beautiful collection of mosaics, manuscripts, tapestries and Christian artwork. The ninth-century Ben Ezra Synagogue is the world’s oldest known synagogue, and served as a depository for old Hebrew manuscripts throughout the Middle Ages. The Islamic part of Old Cairo houses several great mosques, among them the splendid Mosque-Madrassa of Sultan Hassan (14th century). Inside the grounds of Cairo’s Citadel there are medieval mosques and several old palaces. Wandering through the narrow alleys and bazaars of Old Cairo is one of the best ways of interacting with the intriguing street life of Cairo. A day exploring Cairo’s Islamic art treasures, including a visit to the newly refurbished Islamic Art Museum and a walking tour of Cairo’s narrow medieval streets in the energetic old city. Visit the Gayer-Anderson Museum and some of the superb mosques, among them the 10th-century Ahmed Ibn Tulun Mosque and the 14th-century Sultan Hassan Mosque, as well as abandoned palaces. Wander through a maze of nameless alleyways in the most vibrant and exotic part of the historic districts of Cairo. Today, as they always have, the bazaars of the Khan al-Khalili, Cairo’s most famous souk, pulse with commerce, with stalls of spices, jewellery, wooden & copper crafts, perfumes, lanterns and many other trinkets. Take time out to watch the world go by while smoking a water pipe at El Fishawy, Cairo’s oldest cafe, where Nobel prizewinner Naguib Mahfouz set several of his novels. The Egyptian Museum in Cairo is the greatest treasure-house of ancient Egyptian art in the world. Its 107 halls house over 150,000 of the most stunning and priceless Pharaonic antiquities, a treasure trove of artefacts from all corners of Egypt. Our Egyptologist guide will give you a private introduction to the collection, from little-known but important objects to pieces that have amazed the world, like the priceless treasures of Tutankhamun. This is a private guided tour—so you can see the most, in the best way. The museum is huge, so make sure you give yourself long enough to do it justice.